The passenger count must be the cruelest joke. Even the smallest raft in Bengal/Bangladesh is packed with dozens of people. 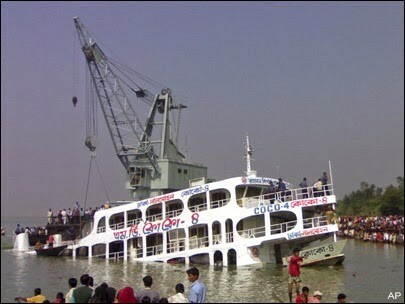 There will be many more people who must have been on the ferry and now will remain unaccounted for. Just like that so many innocent souls sent to their death due to (criminal) overcrowding of boats, as has happened many many times before (the disaster below is from 2009). Some people (South Asians especially) never seem to be able to learn from their mistakes (but they will remember their pet hatreds over centuries). vessel still on the way to the site. Hassan Badal, Deputy Commissioner of Munshiganj district told Reuters. had been sent from Dhaka. So far six bodies had been recovered, including that of a child, according to Oliur Rahman, a police officer at the scene. bodies were found overnight in the river, he said. Authorities said the search for dozens of people still listed as missing was suspended for the night Monday. than 1,500 people. 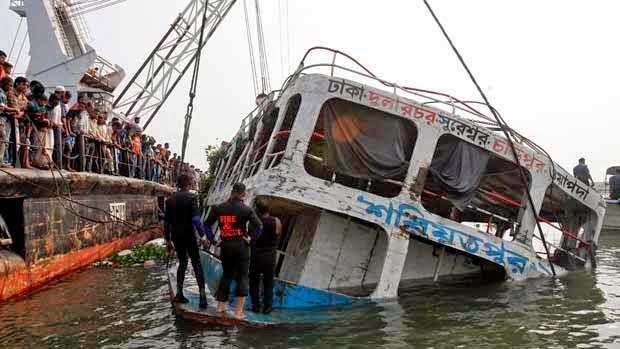 The boat was approved to carry 1,000 people. Next PostNext South Asians more lactose friendly than Middle Easterners?